Have you installed 35 or larger tires on your JK and are now suffering from steering woes? 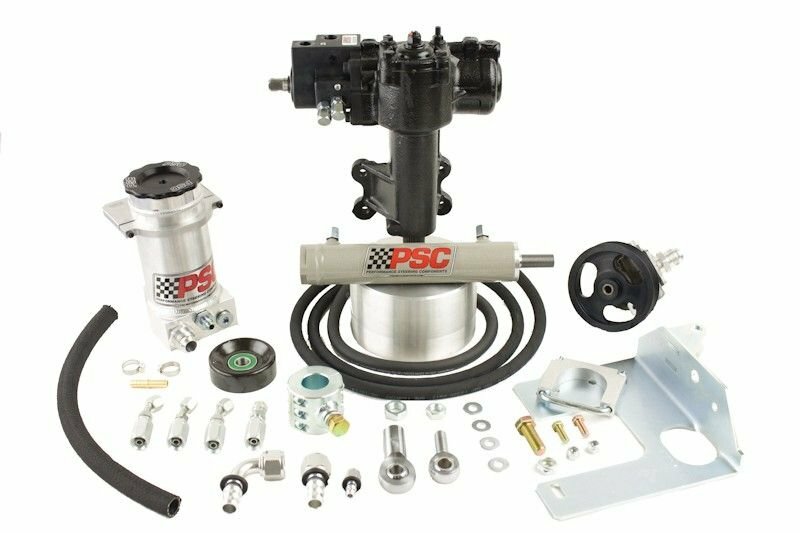 Well if so, PSC now offers complete cylinder assist steering kits for 06 and newer JK series Jeeps that is 100% BOLT ON. No welding or fabricating required! Kits consist of all new steering components pictured, including a 100% new steering gear and pump. All steering cylinder mount brackets bolt straight onto the stock axle housings and tie rods with the use of a few hand tools. In fact, the only special tools required for installation are a pitman arm puller and a 1-5/16 socket for the removal and replacement of the pitman arm. Total installation can be in done in less than 3 hours.